I am in love with stripes nothing makes me happier in finding a new striped top, in different colours, styles, no matter what it is applied too that goes for my little Cha-Chi also. No matter the weather it's a style you can wear throughout the year, be it layered or on its own. Lusting for Spring to bloom and this crappy weather to sod off I've started to buy some dresses for Leanora that she can wear now and when spring finally decides to grace us. 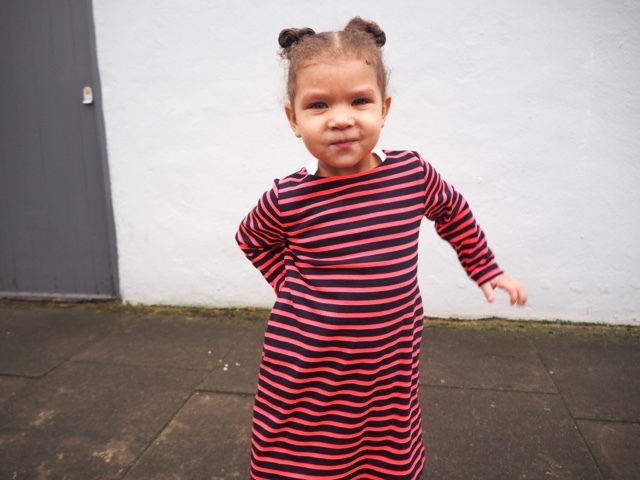 The colour on this striped girls dress is such fun and is only a sign of what to come this spring for our girls and I managed to bag this Striped Cotton Dress from Cos before it flys off the rails. I hope you liked this post, I've a so many more but it's been so cold out I don't really want to take Leanora out to shoot with me. Until then you can shop the post and would love to hear what you think of our choices in the comments below. 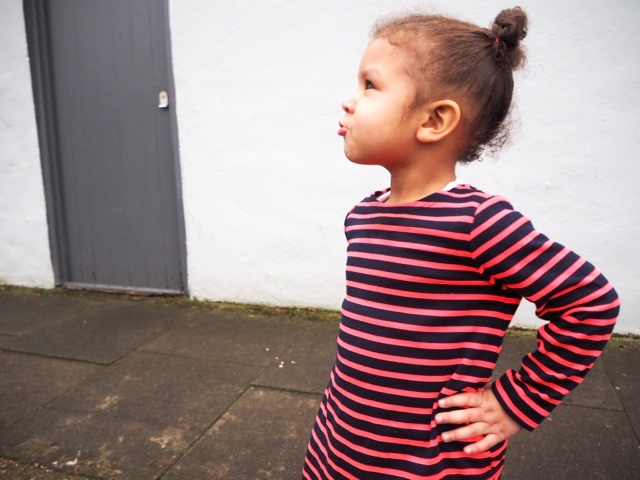 What a sassy little model you have totally rocking those stripes! I also yearn for warmer months and bright colours to throw off this darkness of winter! Oh, that dress is so cute and her shoes! I love them :) I used to love being able to buy dresses for my girls, it's been a long time since I could choose their clothing though. I love the dress. 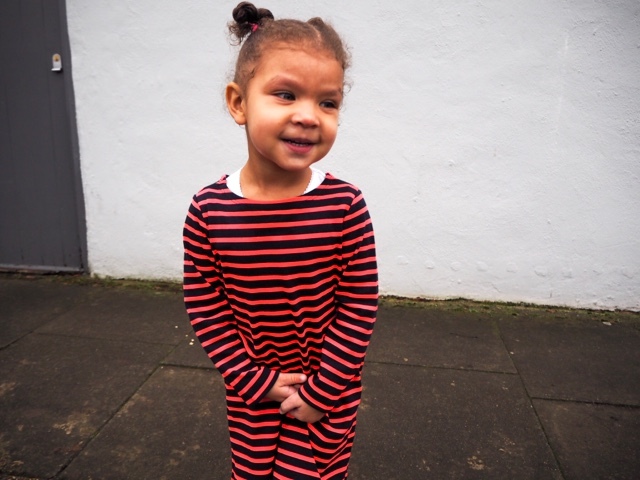 I'm hopefully going to update my daughters wardrobes soon, I suspect stripy dresses are going to be rife in our house. Beautiful dress and an even prettier model! I too hope this bad weather does one soon!! Lovely post! 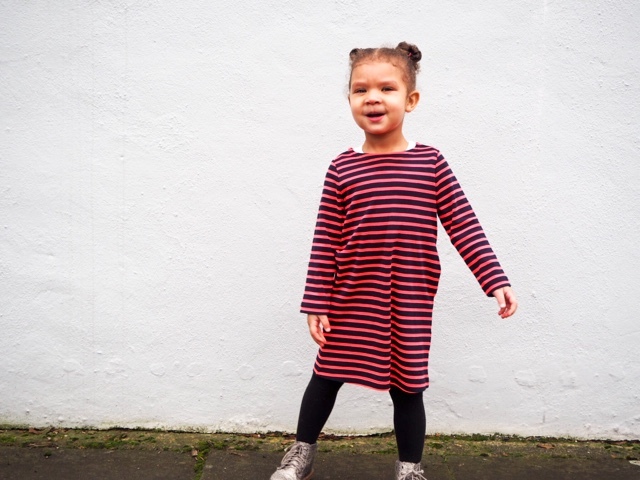 How I would love a little girl to dress, with two boys we are a fan of stripes but stripy tops just aren't as cute as stripy dresses! Ahh she's such a little diva! Love it! If only I had a little girl, these are gorgeous! Loving your little model, she looks fabulous. The dress is so cute, and so practical. What a cutie, her personality shines through in such an unaffected way. Love the stripes and those shiny silver shoes are so sweet, perfect on those little feet. Okay, can I just say that this girl is so stinkin' cute!?!?!? I have a friend who is a mom I can share this with! The dress is lovely and I really like sparkly boots you've paired them with. 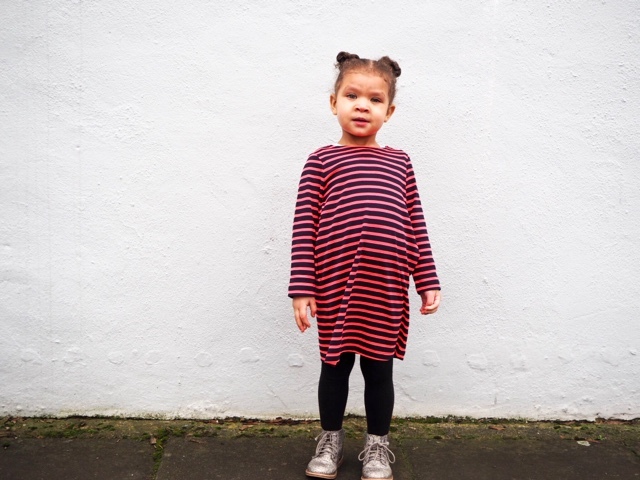 What lovely dresses your little one is really rocking that dress. I love this, she is utterly adorable and the dress is cute! I love Spring dresses especially for my girls. It's so comfy and there are so many styles to choose from. These striped ones are so adorable! Oh these are such cute dresses. I love al the stripes and colors, Spring couldn't get here soon enough. I love that dress, it was so weird though, I was looking at it while sitting next to my little girl who has exactly the same colour pyjama bottoms on! You can't beat a nice dress for the spring. What a cute little dress. Love the design. She is a cutie. 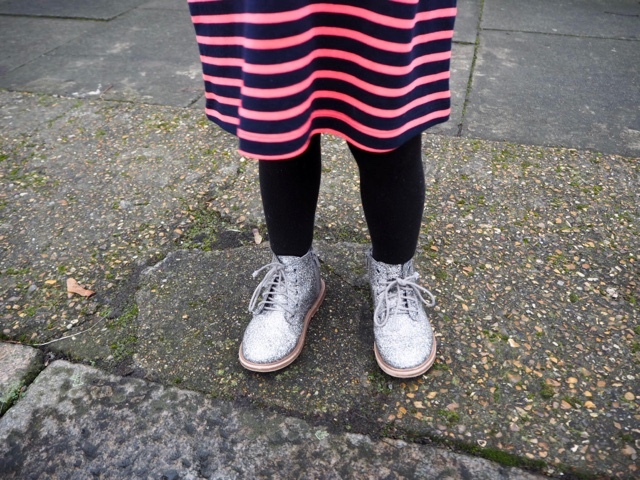 I'm so loving her cute striped dress with glittery boots. Think they make it big people sizes? If so .. sign me up! That's such a cute dress! Stripe is beautiful and actually versatile to customize into many styles.